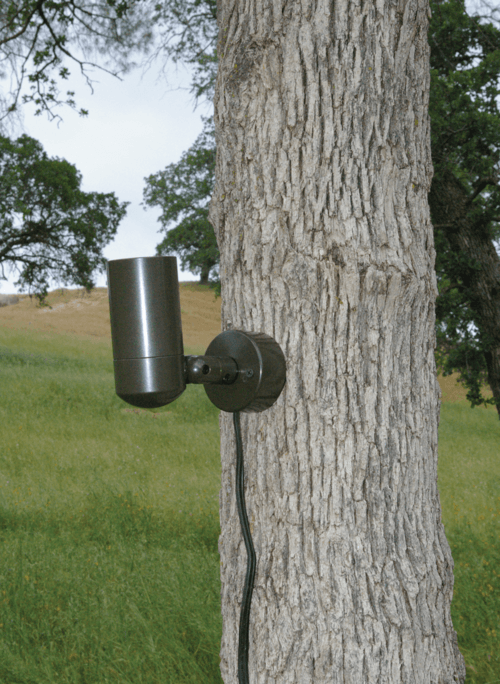 Tree mount canopy for screw/nail on tree mounted lighting applications. 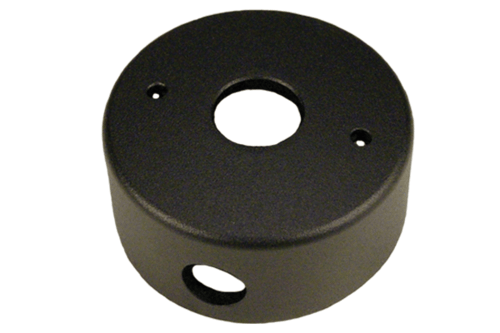 Can be used with low voltage lighting fixtures for surface mount installations. Large size canopy can accommodate wiring connection using waterproof wire nuts. 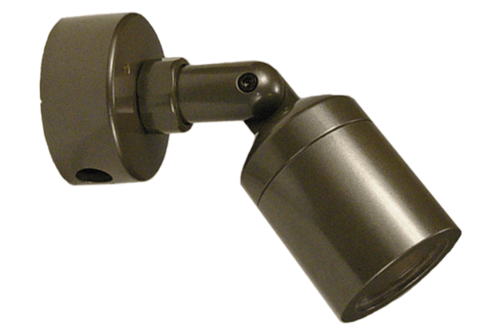 Accepts lighting fixtures with 1/2” NPS thread mounts. Easy feed-thru of 12-2 low voltage cable. 14 standard powder coat finishes, clear anodized aluminum finish, 3 brass finishes and 3 stainless steel finishes are available. Canopy has 7/8” dia. 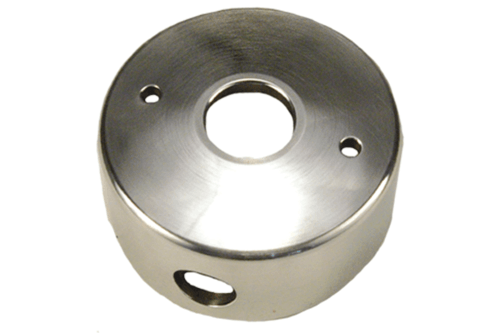 mounting hole to accept fixtures with 1/2” NPS threads. 5/8” wiring hole allows for 12-2 cable feed-thru. 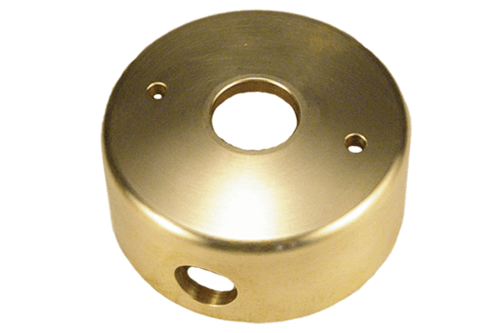 Precision machined from aluminum, brass, or stainless steel. Hardware by others.